The tried-and-tested customer relationship management solution for the furniture sector. The Sales Performer is the CRM solution especially for the furniture industry. The CRM software stands for the stronger bond between your company and your customers. Interaction processes are transparent and controllable by the Sales Performer. The Sales Performer closes the gap between sales, marketing and service. 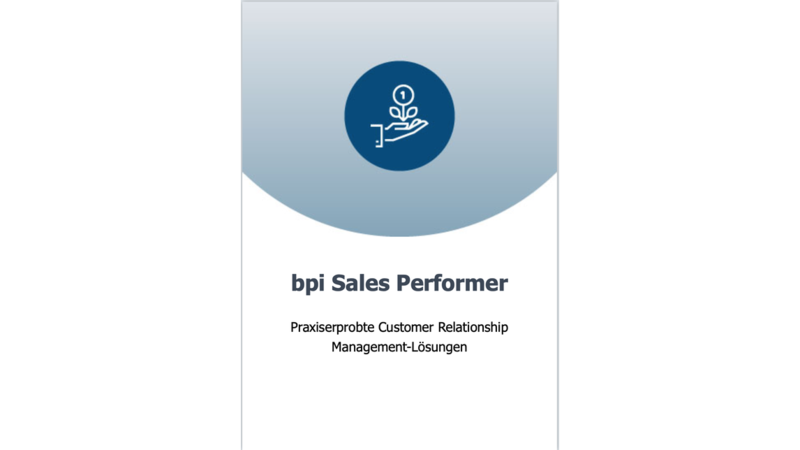 Through the use of the Sales Performer you improve the support of your customers in the company and increase the customer value creation with information about the personality profile, purchasing behavior and other decision-relevant factors of each of your customers. The core of this client-server solution is a relational database in which all relevant information such as companies, contacts, contacts, orders and sales are managed. The Sales Performer will be integrated into the existing IT landscape. The optimal compilation and structuring of your customer information helps you to advise your customers in a qualified and forward-looking manner. The performance scope of the Sales Performer is controlled by several modules and thus adapts to your individual needs.